The case arises from a contracting arrangement involving Eisai Co. (the client), PharmaBio (the contractor), and IQVIA RDS Inc. (the subcontractor). Eisai contracted with PharmaBio for the provision of clinical trials relating to new pharmaceutical products. PharmaBio, in turn, subcontracted with IQVIA for the provision of certain work related to those trials. The “Collaboration Agreement” between Eisai and PharmaBio contained a dispute resolution clause requiring that all disputes be submitted to the American Arbitration Association (“AAA”) for binding arbitration. IQVIA was neither a signatory nor a party to the Collaboration Agreement, and its subcontracting obligations and compensation were instead set forth in a separate “Master Services Agreement” with PharmaBio. In February 2017, Eisai filed an arbitration demand against PharmaBio pursuant to the dispute resolution clause of their Collaboration Agreement. IQVIA was not named as a party in the arbitration proceeding. Eisai and PharmaBio selected an arbitration panel on their own and proceeded to arbitrate. In January 2018, however, IQVIA became involved in the proceeding as a non-party witness after Eisai served a series of document subpoenas. At the urging of the arbitration panel, Eisai later moved to formally join IQVIA as a party and submitted a proposed arbitration demand against IQVIA pursuant to the dispute resolution clause of the Collaboration Agreement. In October 2018, IQVIA commenced a special proceeding in the Commercial Division, pursuant to CPLR 7503(b), seeking a stay of the arbitration on the ground that it was not party to the Collaboration Agreement and had not otherwise “participated” in the arbitration. Eisai opposed the stay petition. PharmaBio did not appear in the special proceeding. In a decision by Commercial Division Justice Barry Ostrager, the Court granted IQVIA’s stay petition. The Court next turned to whether IQVIA was bound by the Collaboration Agreement’s arbitration provision. The Court identified two exceptions to the general rule under which IQVIA­ might still be compelled to submit to the agreement and participate in the arbitration: (1) the “direct benefits” theory, and (2) the “participation” theory. The Court considered these exceptions seriatim. First, the Court concluded that the direct benefits theory did not apply to IQVIA. 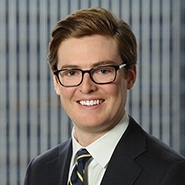 That theory—which New York courts “derived from federal case law” as a way “to abrogate the general rule against binding nonsignatories” to arbitration agreements—provides that a non-party may be compelled to arbitrate where it “knowingly exploits the benefits of an agreement containing an arbitration clause, and receives benefits directly flowing from th[at] agreement.” The Court explained that the exception did not apply in this case because the Collaboration Agreement itself “conferred no direct benefits to IQVIA”; instead, IQVIA’s compensation “was governed entirely by [its] separate [agreement] with PharmaBio.” Notably, it was not enough that IQVIA “benefit[ed] indirectly” from the Collaboration Agreement, by exploiting the mere existence of contractual relations between its parties, or by benefiting from its provisions authorizing—but not requiring—PharmaBio to subcontract with IQVIA. In either case, IQVIA’s benefits were contingent on a “subsequent subcontract” entirely separate from the Collaboration Agreement. Accordingly, identifying no basis on which IQVIA could be compelled to submit to the Collaboration Agreement’s arbitration provision, the Court granted IQVIA’s petition to stay the arbitration. No. 655153/2018, 2018 BL 435004 (Sup. Ct. Nov. 14, 2018). Id. at *2-3 (emphasis added). Id. at *3-4 (citing MAG Portfolio Consultant, GmbH v. Merlin Biomed Grp., LLC, 268 F.3d 58, 61 (2d Cir. 2001)). The direct benefits theory is a form of estoppel. Id. Id. The Court further noted that Eisai, PharmaBio, and IQVIA were “sophisticated business entities” that “easily” could have drafted an agreement including all three companies, had they intended to. Id. at *5. Id. at *5 (quoting CPRL § 7503(b)). Id. The Court denied without prejudice IQVIA’s additional request to be compensated for its non-party document production. The Court deferred that request to the arbitration panel, which was “equipped to adjudicate [the issue] fairly and pursuant to applicable law.” Id.